It’s simple to integrate due dates into your calendar, whether you’re using iCalendar, Outlook or Google Calendar. 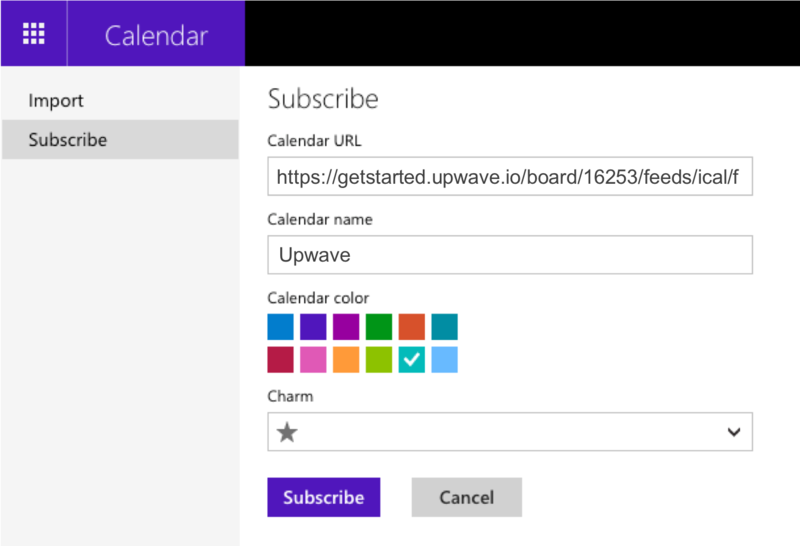 Our easy-to-use calendar feed will create an all day event in the calendar for every due date in a board. To enable this integration, you need to be an admin on the board. When an admin has enabled the feature, it will be available for the rest of the board members. 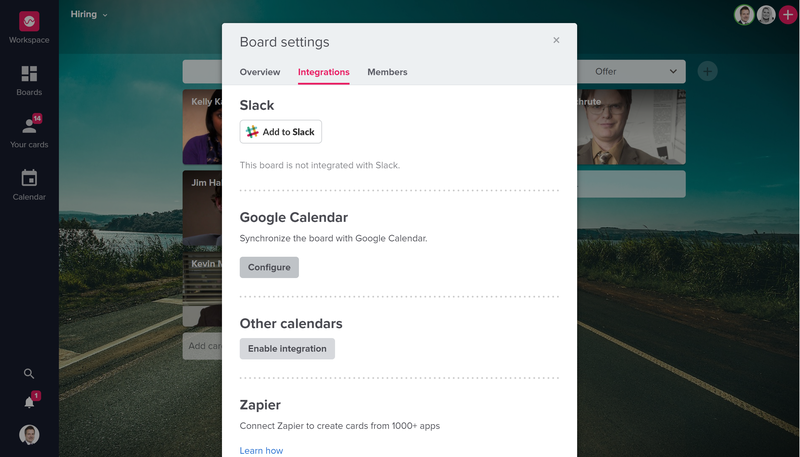 You need to enable each board to integrate with your calendar individually. Go to the board you want to connect. Click on the arrow next to the board name and choose "Board settings". In the settings you will find three tabs; Overview, Integrations and Members. Click on integrations. If you are an admin, you will now get the option to enable (or disable) this integration. Your board is now added to your calendar, and you can easily disable. 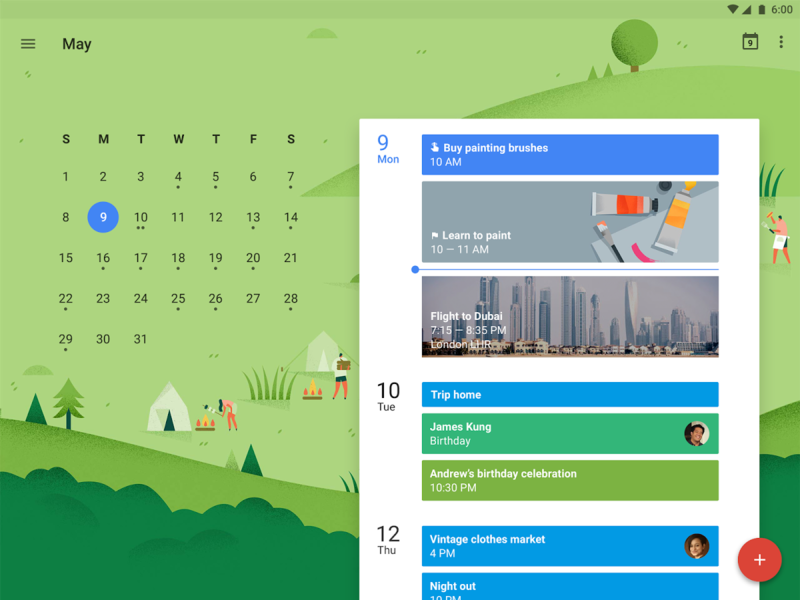 The board calendar now appears among you calendars in the Google interface. You can easily share this now with other users. When you have enable the Calendar integration, you will get a link that you can copy and paste into your calendar. Go to your calendar in outlook.com. Click Import, then click Subscribe. In the Calendar URL box, paste the URL from Step 2. Give the calendar a name and a color, and click "Subscribe".